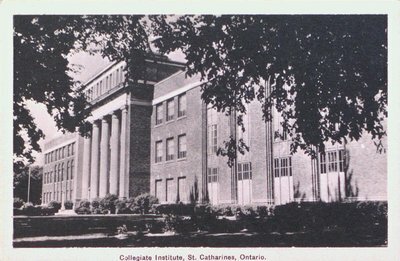 A postcard of St. Catharines Collegiate Institute on Catherine Street, St. Catharines, Ontario. Date Unknown. Published by the Photogelatine Engraving Co., Ltd. Printed in Ottawa.